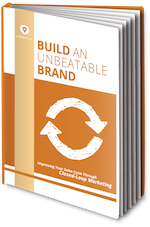 Are you utilizing closed-loop marketing? Closed-loop marketing is a great technique that allows marketers to tie every lead, product or service sale and dollar back to the marketing touchpoint that created them. Setting up a closed-loop system lets you track the data you need to create unbeatable marketing campaigns. Fill out the form to access Improving Your Sales Cycle Through Closed-Loop Marketing and jump-start your marketing campaigns today!